RELIEF IN JUST 21 DAYS! Eighty percent of people will suffer from back pain at some point in their life, and many suffer for far too long. This is a statistic that can be changed. 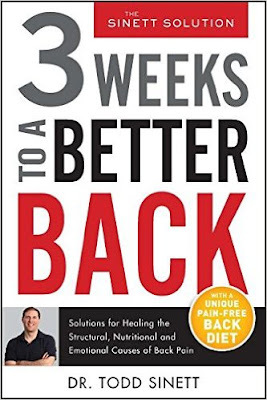 3 Weeks to a Better Back is the key to giving all types of back pain sufferers relief―in just 21 days! Our doctors are missing the cause of our back pain―and that’s because they are only treating the back. The Sinett Solution lies in a revolutionary concept: It’s Not Your Back. Yes, that’s right. For the majority of sufferers, the problem is not in the back! It’s caused by imbalance in the core, feet, hips, neck and jaw and most unexpectedly, by diet (even a healthy one!) and stress. The explanation is simple. Your body is comprised of a group of systems that are interconnected, and at the center of those systems is the spine. A problem in one area therefore almost always affects the back. An inflamed stomach, for instance, radiates pain into the back. Sitting on your wallet throws off your hips, which compromises the spine. Stress lives in the muscles of the jaw, neck and shoulders, creating tension and tightness in the back. 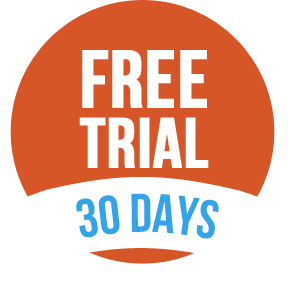 3 Weeks to a Better Back offers a simple three-pronged, three week approach to treating back pain. Dr. Sinett helps you figure out what kind of back pain sufferer you are and determines the source of your pain through his Back Pain Inflammation quiz, allowing you to arrive at a proper diagnosis. He then provides you with easy-to-follow tools for a customized treatment plan, including stretches, ergonomics and structural care for all parts of the body, as well as a No More Back Pain Diet featuring delicious recipes and Enerchi techniques to help you cope with both daily and chronic stressors and negative emotions. With quick healthcare tips that you can adapt into your daily routine, 3 Weeks to a Better Back is your total-body prescription for a back pain-free life. Chiropractor Sinett offers a clearly written guide to his profession’s perspective on relieving back pain. His version of this approach, the “Sinett Solution,” is a three-part method, which treats structural, digestive, and emotional issues separately. The book consists of four sections, the first devoted to determining which categories of back pain apply, as well as reasons why previous treatments might have failed, such as incorrect diagnoses. In section two, Sinett delves into structural causes, distinguishing between localized issues where the problem is at the site of pain, and compensatory issues involving a “global spinal reaction” (as is often the case, in his opinion.) For remedies, Sinett includes detailed pictures of stretches and correct posture. Section three evaluates the effect of poor digestive function and provides dietary advice for eating well, complete with shopping lists and menus. The final section examines how emotional conflict and pressures can cause stress to manifest as back pain and includes relaxation exercises and “laws” for taking care of one’s emotional health. Sinett has provided back-pain sufferers with a thoughtful and thorough approach to improving their health, in both body and mind. Dr. Todd Sinett, a NYC-based chiropractor, challenges the current approach to back pain with a three-pronged approach that addresses structural, emotional and dietary factors to identify and treat the root cause of the pain in order to help his patients lead healthier, happier lives. Devoted to providing his expertise beyond his clientele, Sinett is the author of upcoming book, 3 Weeks to a Better Back (October 2015), and the creator of the BackBridge™ System, the first and only back pain device developed to help relieve core imbalance with stackable levels to help users gain flexibility and improve the health of their spine in just two minutes a day. For more information about Dr. Sinett, please visit www.drsinett.com. 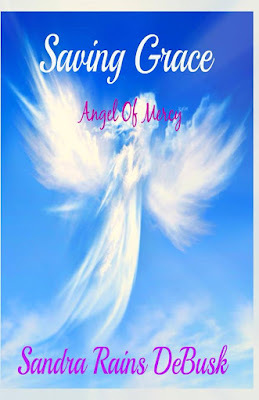 For those who believe in angels and the works of God, this book is for you! Grace is a young woman who lost her first love, her husband Joe. She falls into a deep depression and is giving up. Spirit is her angel and comes to save her from a self-inflicted death. Spirit is trying to earn her wings and saving Grace is the way to do it! Little does Spirit know ... she will grow to love Grace. Sandra Rains DeBusk is a wonderful Author and should be among the 'A' list of writers. All of her books are great. This book Sandra has written is very interesting. I could NOT put it down! I found myself feeling the young girl's plight through her journey. Lovely, sweet book about faith and hope. Highly recommended. Sandra Rains DeBusk is first and, above all else, a mother. Sliding in second is independent writer. Her genres include Fiction, Fantasy, Horror, Science Fiction, Slice Of Life, Speculative, Thriller, Paranoid Thriller, Adventure. Very spiritual, Sandra believes with her whole heart that God and angels exist. She is the wife of a Marine, as well as a mother and grandmother. Sandra has won awards for her poetry and is not only a writer for herself but also a ghostwriter for others. A chance meeting changes Monte's and Kathryn's lives forever. Their whirlwind courtship and marriage was a love story dubbed by friends and family as "The Prince and the Commoner". Now Montgomery Lawrence, former Hollywood icon and Cleveland, Ohio businessman is dead. His unexpected death leaves his survivors - Kathryn, his wife, Russ, his best friend and partner, and his son, Grayson in shock. Each must find a way to deal with their loss and to live without him. Monte had a public image and a private persona that were not always in sync. Memories and conversations reveal what life with Monte was really like and the kind of man he was. I certainly enjoyed the story line in the book. It made me laugh at times, made me cry and gave me something to think about when a person loses a loved one. The characters were real and I felt had depth. I enjoyed the setting of the story. There was enough background on the characters to get a feel for them. 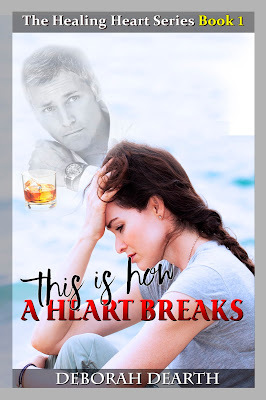 Not only did the author choose her wording well and the dialogue seemed real but she provided some true Christian values to the story which I found totally refreshing. As I read the ending, I realized that this was only the new beginning of a new life for the main character. No doubt there will be a sequel. Although many would classify this book in the women’s fiction or chick lit genre, I personally found it to be inspirational. A good read for adults of any age. Deborah Dearth has had a passion for writing as long as she can remember. While not a career author yet, she greatly enjoys spending any free time with pen to paper, especially after becoming an empty nester. She was born and raised in Ohio, where she met and married her husband of over thirty-five years. They had a whirlwind of a courtship by meeting, dating and marrying in nine short months. It is a true to life love story that has given Deborah a passion for writing such novels. While she has held jobs in various fields, such as, education, medical and accounting, her most challenging and rewarding job is being a mother of three and grandmother to three. She is a Stephen Minister and has been a leader in both women's and children's ministries in various churches. Writing is a wonderful way for her to escape the daily grind and to create a world where others can do the same. She is always writing something and weaves a story is that is believable and will make the reader feel that they are right there with the characters. The settings for her writings are the places that she has lived in Ohio, North and South Carolina or places that she has visited. She is currently working on the sequel to her first novel. Deborah, her husband, and two furry children, currently reside in South Carolina. Christmas is coming! Order your copy today! But then a Mysterious noise occurs in the enchanted forest and something has been eating all the carrots from Meadowlea stables. It’s a race against time as Christmas gets nearer and there is a dangerous creature on the loose! Can Hannah and Little Alf solve the mystery before Christmas Eve? A Christmas book containing Magic and excitement for all the family! Believe in Magic and you will find it! Hannah Russell is the owner of Little Alf and has been since the 24th of December 2013. Little Alf, who is often found creating mischief, was born on the 1st of April 2012 and lives behind Hannah’s House in the North Yorkshire Dales. 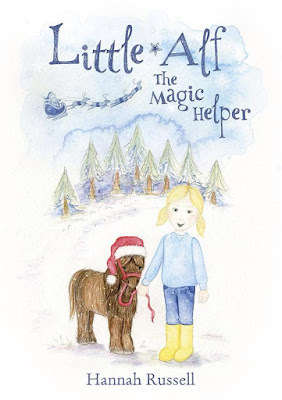 At the young age of 17, Hannah Louise Russell published her first book in 2014, The Magical Adventure Of Little Alf – The discovery of the wild pony. The reason why Hannah decided to write a book on Little Alf was because Little Alf is completely different from other miniature Shetlands as he is a mini mini mini Shetland due to having dwarfism, therefore this makes Little Alf super tiny but also super cute! Hannah and Little Alf have a very special bond and are never found far apart. Through their book they are helping support the Riding for Disabled Association. They help raise funds for all the amazing work the Riding for Disabled Association (RDA) do. Little Alf brings Hannah great happiness and joy, he also hopes he will to you too! FREE ebook September 26 and 27th! When Sadie Byler’s wagon breaks down by the side of the road, she and her sister are stranded miles from home. Handsome, kind-hearted Samuel Schrop repairs their wagon, but he also kicks off a rivalry between the two sisters. Sadie's younger sister Esther becomes infatuated with Samuel, but Samuel only has eyes for Sadie, who's also falling for him. Sadie pulls back from Samuel for the sake of her relationship with her sister, but Samuel continues to pursue her. Will Sadie have to choose between her love for Samuel and her love for her sister? Will Sadie learn the Christian virtue of patience and begin to let God's will rule her life? 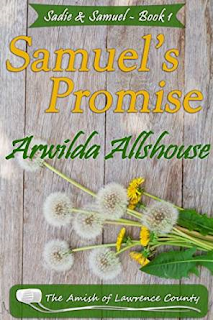 Samuel’s Promise is a story of sibling rivalry, young love, mistaken intentions and hope for the future. Although this story is part of a series, (Sadie and Samuel 4 in 1 Collection) it can be read as a stand-alone story. The Amish of Lawrence County series is set in Western Pennsylvania, where the Amish celebrate God’s Grace with a love of the land and a life of simplicity and faith. The young Amish girl, Sarah Noll, is a romantic at heart, inclined to snooping and leaping from buggies. Her newly married friend, Sadie Byler Shrop tells her she has to come down to earth and make a choice of who she will marry. Levi Mast makes her heart race. He is tall and blonde, just like the Vikings in the forbidden romance novels that Sarah secretly likes to read. So when he asks to take her home after a Sunday Sing, Sarah dreams that he will conquer her heart, but will those dreams become nightmares? And then there is Simon Byler. He is smart, funny and Godly. He is also her best friend Sadie’s brother. Simon is Sarah’s friend too--the comfortable one, without much adventure, or at least he was until Sarah’s snooping causes her to discover a hidden bag of library books—about electricity! Why would a good Amish man be reading about electricity? Is Simon planning on leaving the Amish? How will Sarah ever tell her best friend Sadie about her brother’s plans? Or should she? Shocked, excited and secretly pleased about Simon’s plans, she joins him in his forbidden quest, but Levi Mast is not ready to give her up. Will they all end up before the Bishop? 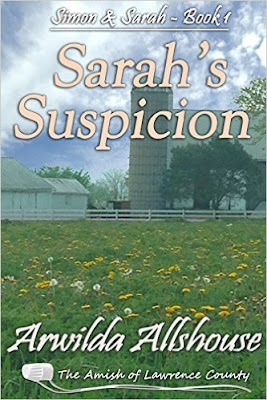 Sarah’s Suspicion will make you believe that whichever way the wind blows, God is in control. This is not your typical Amish romance. It’s fun, funny and most importantly inspiring. Arwilda Allshouse, the eldest girl of nine children, was born to parents of Pennsylvania Deutsch lineage and kept in touch with her grandparents until their death. She is familiar with the mores of most Amish and has endeavored to keep her stories truthful, though fiction. She grew up in an Anabaptist home, spending her whole life in the small Pennsylvania community which nurtured her and her family. She learned to can the vegetables grown on the farm and sew her own clothes and later her children's. She taught her own children and grandchildren the art. She has always loved to read romance, and dreamed of writing and publishing stories, but never seemed to have the time...or the means until ebooks. Like the Amish, Wilda has always felt that God played a central role in her life and has tried to offer simple work, forgiveness and love in a prayerful way. This is the theme that she hopes runs through her books: remembering that JOY is found by placing Jesus first, then Others and then Yourself. Wilda lived for many years side by side with the Pennsylvania Amish and now the stories of love and grace that she has always cherished have, with the help of her granddaughters, found a home on Amazon. She hopes that you enjoy reading them as much as she has enjoyed writing them, and always loves to hear from her readers. Find her on Facebook. A brand new series of short stories: Patchwork Friends, coming soon. Get back to what you love to do. 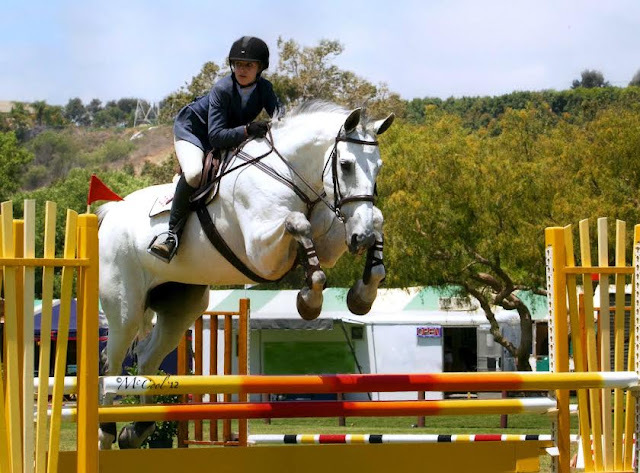 GoNotes offers business solutions for equestrian professionals, so you can focus on what you do best. In a riding lesson, the instructor reinforces the importance of the rider's consistency and well planned efforts. Every action must be thought out, from the trot to the canter or taking your first jump while you look onto the second. You must have a plan and stick with it. Your horse is taking your lead and you are establishing trust. These lessons remind me of the fundamentals of running your own business where consistency matters. The way you communicate with your clients, the tools you use to do your job, the message you send when you promote your business. They all must be professional and consistent to gain your customers loyalty and build your brand. Using technology to automate steps in your business can help with that consistency. Sending automated email notifications, appointment reminders, and thank you emails after each appointment will keep you top of mind with your clients and elevate your professionalism. When you are working with clients who's managing your schedule? Online booking allows your customers to view your availability and schedule an appointment with you. You avoid the hassle of phone tag, no-shows and even loss of income from a missed opportunity. As an equestrian professional working with both horses and people across a variety of locations, you have a pressing need to keep your business information centralized and accessible. Keeping all your customer information in one place for easy reference, keeps you prepared and shows that you care. At the farm, in the arena or on the way to a show, you can count on GoNotes to offer solutions to support your equestrian business. Our mobile friendly solution works behind the scenes to get the job done so you can focus on what you do best. GoNotes is committed to helping self-employed, independent professionals grow and thrive by providing easy-to-use, affordable tools and expertise needed to succeed in today's workforce.